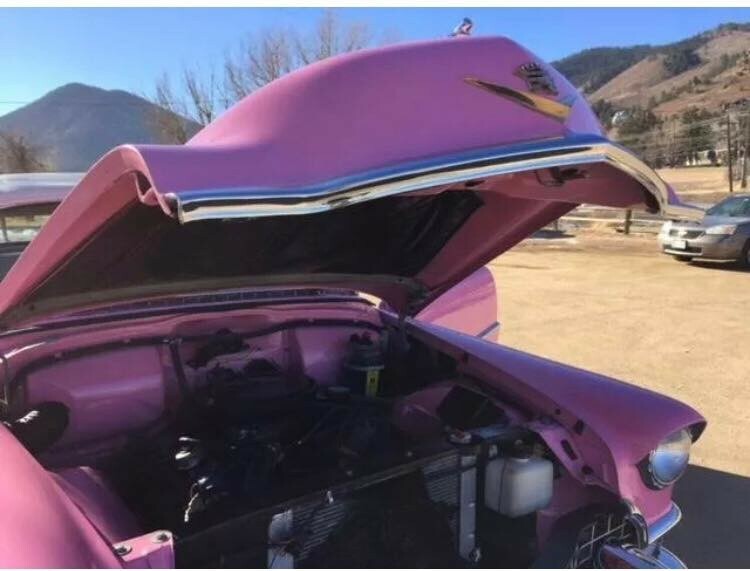 Now available by The Motor Masters is a 1955 Pink Cadillac Convertible for sale. Restored in 2003 from Corrales, NM. 1970 Eldorado 500ci 8.2 Liter Engine. Turbo 400 Transmission. Mileage 51,650. Power Steering, Power Seat, Power Windows and Power Top. 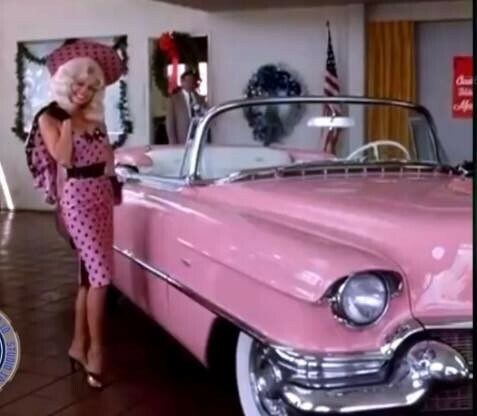 1955 Cadillac Convertible… This car was restored and repainted from red to pink in 2003 for use in the movie “Elvis Has Left the Building” starring Kim Basinger. 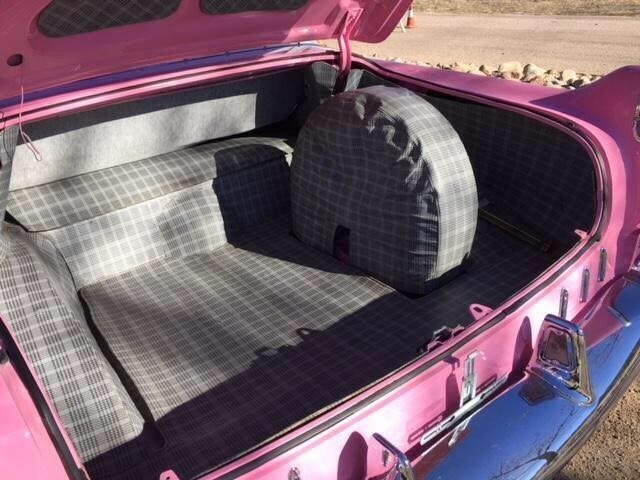 The car was originally from Corrales, NM. 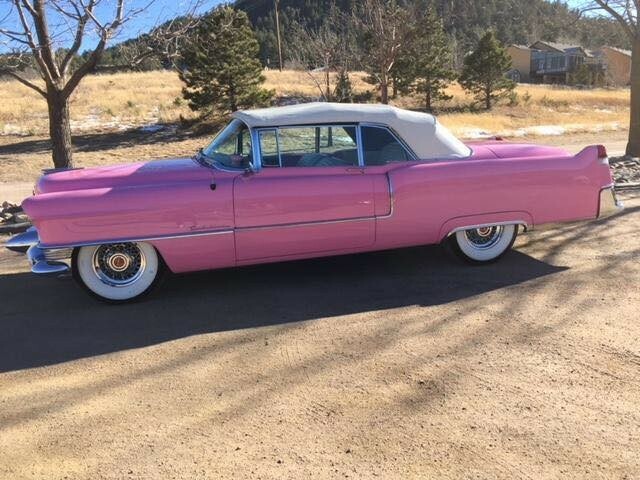 The current owner bought this Cadillac from a local doctor who owned the car for the past several years. 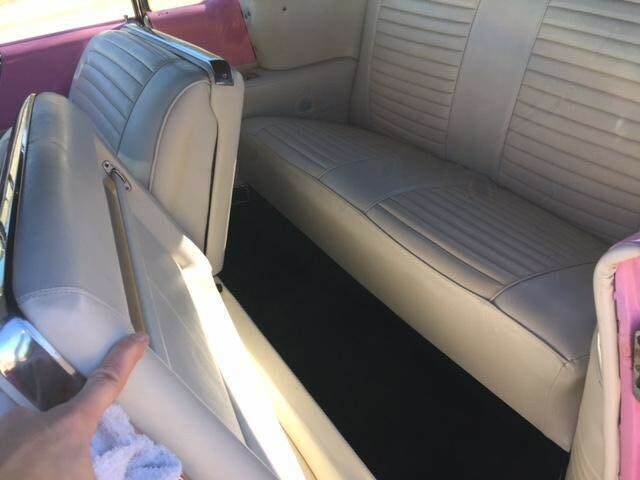 It has been garage kept and well maintained since it was restored… and other than a few scratches in the paint and a crack in the passenger side glass, it is in very good condition. 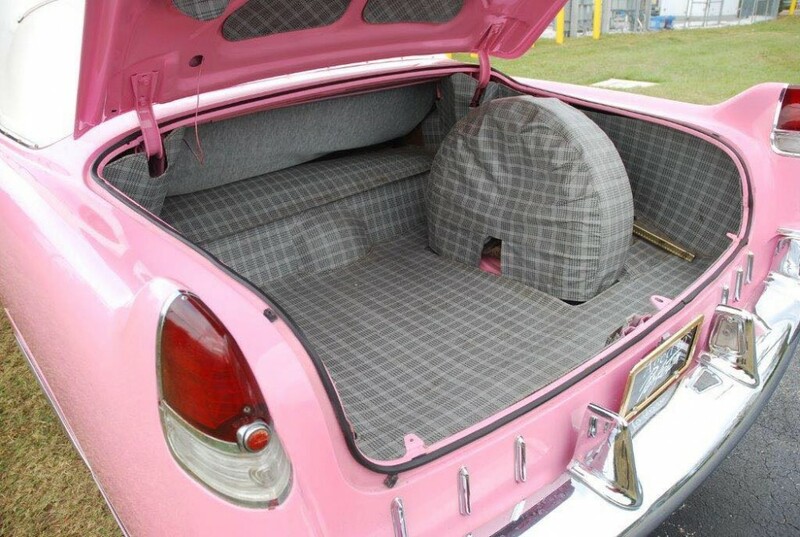 There is no rust on the body and is rust free underneath as well. 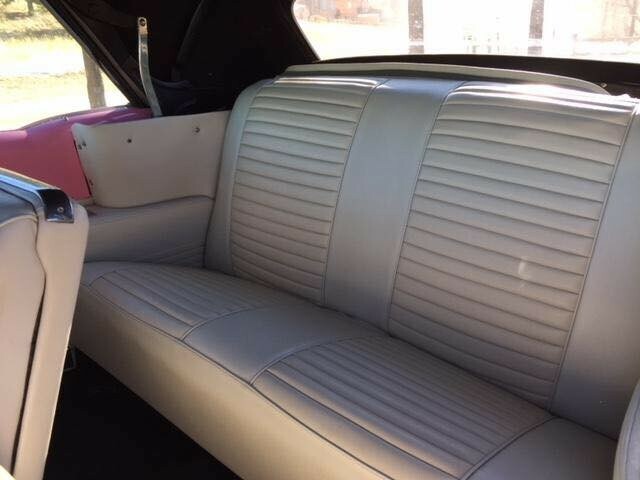 It is a nice and straight car down the sides as you can see in the pictures and the video. The car runs, rides and drives excellent and it is a real head turner no doubt. 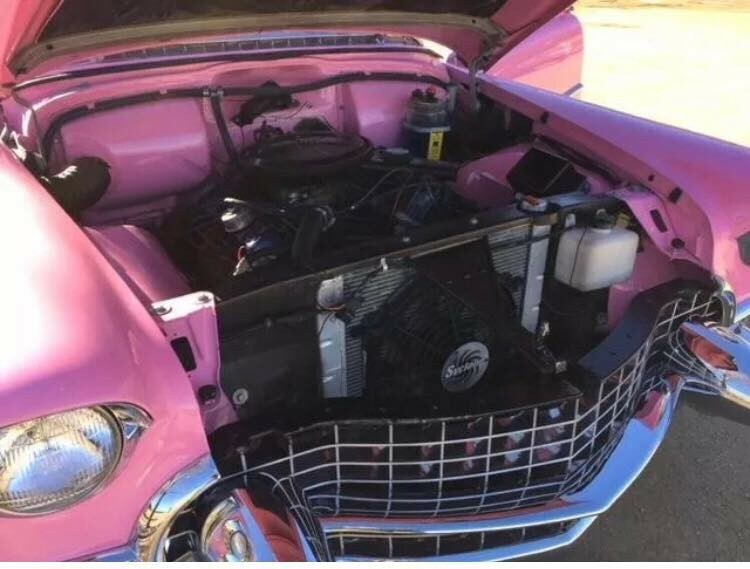 The engine came from a 1970 Cadillac Eldorado and is a 500ci 8.2 liter. The block is a 5200 high compression one with the two drain plugs in the oil pan. The transmission is a turbo 400 automatic. The car runs great with no problems. 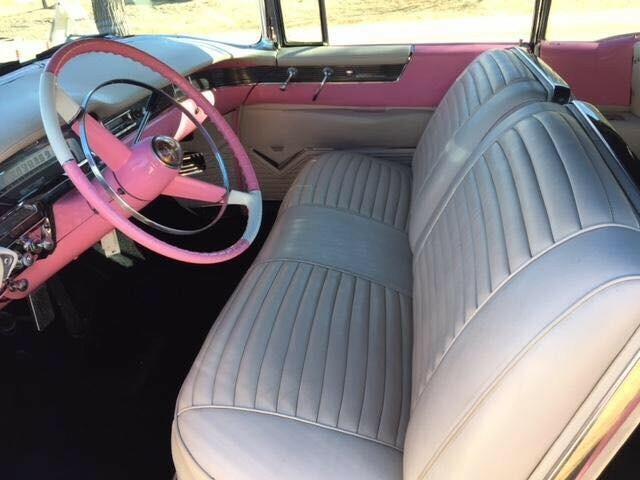 The interior was changed over to white in 2003 also. All of the lights, turn signals, and gauges work except for the factory radio and gas gauge. It has power top, power windows, and poser seat and all are working. The new carpet was replaced in 2018. It is a beautiful car and it gets all the attention at the car shows. Vehicle is being sold in “AS IS” condition. 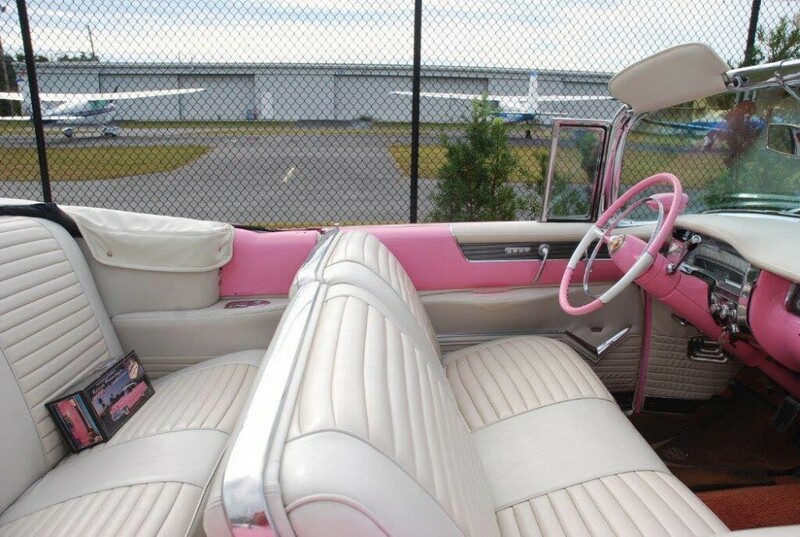 So if you are in the hunt for a classic 1955 Pink Cadillac Convertible, then look no further! This one is it! Don’t let this one slip away…call us TODAY!